Medical Alley companies had a strong start to 2018, buoyed by new investments in biotech. 45 companies raised $234 million in the first half of the year. In addition to positive investment flow, exits continued at a strong pace with multiple acquisitions and one initial public offering (IPO). These exits will recycle capital into the ecosystem and show Medical Alley’s strength at all stages of company maturity. Notable raises so far this year include Bind’s $70 million (digital health), Relievant’s $58 million (medical device), Vyriad’s $9 million (biotech), Cardionomic’s $9 million (medical device), and Vergent Bioscience’s $8.7 million (biotech). Exits include Ability Network’s sale to Inovalon, Cogentix’s sale to Laborie, Rebiotix’s sale to Ferring Pharmaceuticals, NxThera’s sale to Boston Scientific, and RedBrick’s Merger with Virgin Pulse. Inspire Medical Systems also raised net proceeds of $112.2 million through their IPO on the New York Stock Exchange. Medical Alley’s biopharma community had its best first half ever with $51.8 million raised by 10 companies, over double the prior record from 2015. Top raisers were Biothera ($13.5 million), Vyriad ($9 million) and Vergent Biosciences ($8.7 million). Biopharma accounted for one of the exits as well: Rebiotix’s sale to Ferring Pharmaceuticals. In a show of support for the Medical Alley community, Ferring has commented that it will keep Rebiotix’s team and operations in place in Medical Alley while investing in further development. Biopharma is a growth sector for Medical Alley with steady increases in both funding and head count. 4,000 people across more than 200 organizations — more than double the number of companies a decade ago — now work in the biopharma space in Medical Alley. One of the companies expanding both its headcount and its footprint is Vyriad. Fresh off their $9 million raise, the company is investing in a 25,000 square foot Good Manufacturing Practice (GMP) space to manufacture its oncolytic virus anti-cancer vaccines in Rochester, Minnesota. While Medical Alley is seeing growth in sectors like biopharma and digital health, Q2 did produce one worrying trend as well: The fewest companies since the passage of the Angel Investment Tax Credit (AITC) raised money in the first 6 months of 2018 following the credits expiration. 34 companies raised $4 million or less, the AITC cap, a 20 percent drop from the prior year, and a new low since the credit was first instituted. By reducing the risk of an investment, the AITC provides an incentive for investors to back early stage technology firms. In the last five years, Medical Alley companies raised $108 million via the AITC earning $27 million in credits; those companies went on to raise another $273 million, a 10x return on the state’s $27 million investment. The AITC is a catalyst for early stage companies. Due to long development cycles in health technology, the companies who benefitted from the credit while it was in place are only now at the stage where they can create jobs en masse. Equally, while the short-term impacts of the credit’s absence are already visible in the declining number of early stage companies raising money, this will not be the only negative consequence. A dip in job creation as this smaller class of startup companies reaches maturity would not be surprising. Further delay in reauthorization imperials Minnesota’s signature industry: health innovation and care. Reauthorization of the credit is a top priority of the Medical Alley Association. The first six months of 2018 saw strong return of capital to investors across all sectors, and the pipeline of promising early and mid-stage companies suggests deal activity will continue.  Companies around the world want access to the talent and technology here in the global epicenter of health innovation and care, Medical Alley. ABILITY Network is a Software as a Service (SaaS) company that simplifies administrative and clinical tasks in healthcare. Combined with Inovalon, which acquired the firm for $1.2 billion, they are delivering efficiencies across healthcare, freeing up capital to improve quality and lower costs. An early Medical Alley pioneer in digital health, the company grew to more than $100 million in revenue and had hundreds of employees in downtown Minneapolis before their sale. After the acquisition, Inovalon announced ABILITY Network would expand its Minnesota workforce. Bind, a company developing on-demand health insurance, raised $70 million to launch in market. Founded by serial entrepreneur Tony Miller and backed by Medical Alley based Lemhi Ventures, Bind provides core coverage for primary and emergency care with add-ins for things you can plan for, like certain orthopedic procedures. Bind’s fundraise represents the third year in a row that the largest startup raise of the first half went to a digital health company. Cogentix, a urology device and solutions provider, was acquired by Canadian firm LABORIE Medical Technologies for $239 million. Cogentix has three primary products: Urgent PC Neuromodulation System for the treatment of over active bladder; PrimeSight Cystoscopy System & EndoSheath, a cystoscopy system with a single-use protective barrier with an integrated working channel; and Macroplastique, an injectable, soft-tissue bulking agent used to treat female stress urinary incontinence. Inspire Medical Systems debuted on the New York Stock Exchange on May 3rd. Net of all expenses Inspire raised $112.2 million. A developer of treatments for obstructive sleep apnea, Inspire’s lead product was named the #2 innovation most likely to impact healthcare in 2018 by the Cleveland Clinic. Inspire was the first Medical Alley company to go public in 2018 and follows members Celcuity and Calyxt, which went public in 2017. The stock trades under the symbol INSP. NxThera, a urology startup commercializing a novel treatment for benign prostatic hyperplasia (also called an enlarged prostate) was acquired by Boston Scientific, which was an early investor in the company, for $406 million. NxThera’s device offers a treatment option to patients that is minimally invasive, improves quality of life, and preserves sexual function post-procedure, making it a superior option for consumers. Following the acquisition, NxThera and Boston Scientific announced their intent to spinout a new company based on the core NxThera technology to develop a novel treatment for prostate cancer, continuing the cycle of innovation for the benefit of patients. Rebiotix Inc., a late-stage clinical microbiome company focused on harnessing the power of the human microbiome to revolutionize the treatment of challenging diseases was acquired by Ferring Pharmaceuticals, but terms were not disclosed. According to published reports, Ferring intends to keep Rebiotix’s operations intact, including CEO and Medical Alley Association board member, Lee Jones. RedBrick Health agreed to merge with Virgin Pulse in the first half of 2018. Terms of the merger were not disclosed. The combined company will have 3,300 employees with offices in Medical Alley and Rhode Island. RedBrick helps companies transform the health of their organizations by inspiring their people to engage in life and at work. Virgin Pulse, a leading provider of technology solutions that promote employee engagement and wellbeing, is part of Sir Richard Branson’s Virgin Group. Relievant Medsystems raised $58 million in the first half of 2018, the largest raise by a medical device company and second largest raise overall. 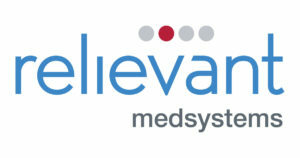 Simultaneously with the raise, Relievant announced moving its headquarters to Medical Alley from California. Relievant has developed the Intracept procedure for the treatment of certain types of chronic low back pain.